Anyone who has ever attended a child’s school concert will tell you that the quality of the sound can be the difference between an enjoyable experience and a blistering headache. 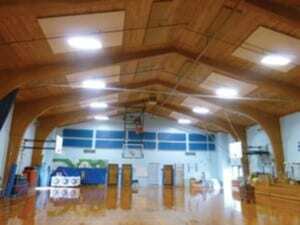 Great Salt Bay Community School in Damariscotta, Maine utilizes its gymnasium not only for athletics, but also for concerts and presentations. After a sound system failure forced faculty to prematurely end a concert, school administrators knew it was time to upgrade the space. Read full article by clicking here.